Item # 309900 Stash Points: 1,195 (?) This is the number of points you get in The Zumiez Stash for purchasing this item. Stash points are redeemable for exclusive rewards only available to Zumiez Stash members. To redeem your points check out the rewards catalog on thestash.zumiez.com. 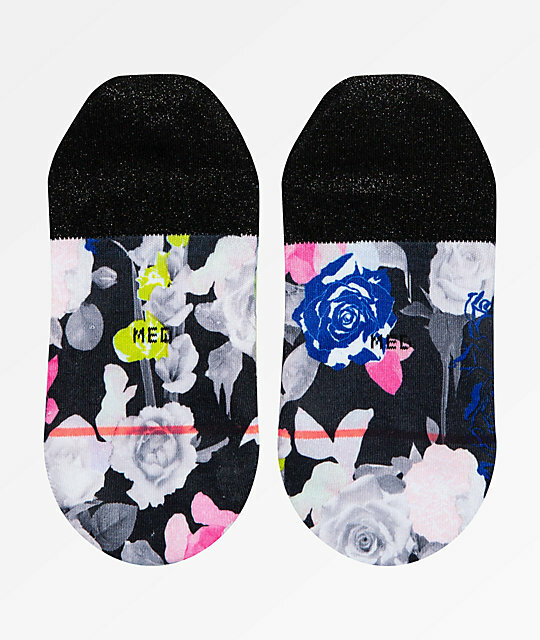 For the individuals who love low-profile shoes and flats, Stance presents their Splendid Floral Super Invisible 2.0 No Show Socks. These plush socks offer arch support, silicone gripper for no heel slip and a vibrant floral print pattern throughout for a touch of flair. 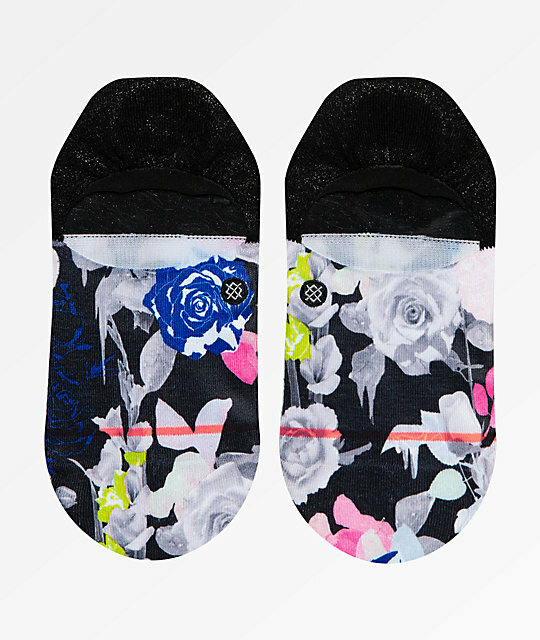 Splendid Floral Super Invisible 2.0 No Show Socks from Stance. 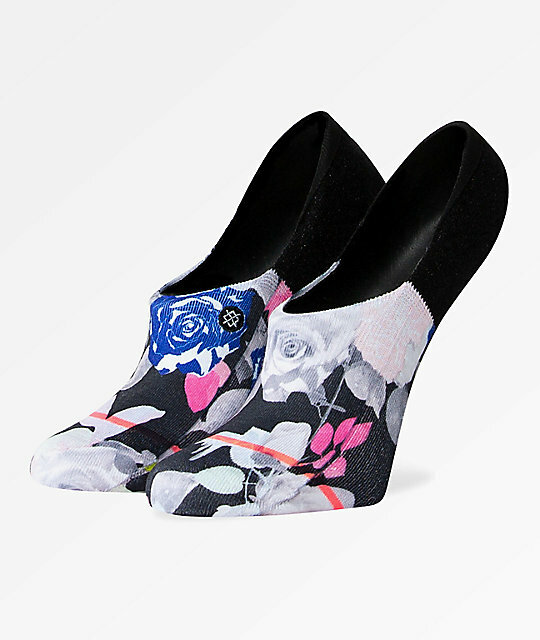 Black colorway with multi-colored floral jacquard knit graphics.